With this mould, training and supervision are reduced to a minimum, and even the most unskilled person can make SanPlats of top quality. 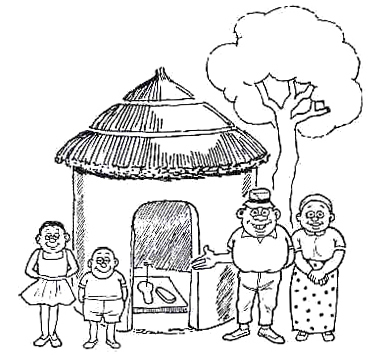 The high professional finish is a highly motivating factor in latrine building programs. Foot operation of the lid eliminates 100% the hand contamination, which is a significant route of disease transmission. The “All-In-One” moulds come in boxes of 12 or for bigger orders stapled on euro-pallets. This mould is suited for decentralised production of SanPlats 60×60 cm. Start by cleaning the shiny side of the ‘All-In-One’ SanPlat Mould with a soft cloth soaked clean motor oil diluted with diesel or (better) paraffin oil 50-50%. The oil will protect the mould from being destroyed by the cement. (Keep the cloth in a plastic container and you can use it over and over again.) In doing so, you need no water to clean the mould. Mix cement with dry and clean sand and stone in the proportions 1+2+2 (or 1+2+3), add very little water and mix well. Divide in two parts and add extra water and cement to one of the heaps to make it liquid. Pour the liquid concrete in the mould and stir gently with a trowel or (better) with a twig, or even with your fingers, to release all air bubbles from the plastic surface. Be careful not to scratch the mould. Put in reinforced bars as required before adding the very stiff concrete to cover the reinforcement (all reinforcement bars should be covered by 2cm concrete). Extra reinforcement may be required for transport reasons. Allow the dry concrete to soak up the water and compact the concrete with a piece of wood until cement water comes up on the surface. Write the date and the number of the SanPlat in the fresh concrete. Start with number 1 and continue with 2 on the next one, etc for your records. You may need to sprinkle some cement at the place of writing. The date and number will help you to monitor the production and the progress. If it became too wet, pour it off and add more semi dry concrete. Use less water for the next one. Put the mould on a flat surface and allow to cure for one day. By using two planks under the footrests, you can pile the ones that are ready and save space while curing. When hard (test by scratching with a nail) tilt the mould very gently to vertical position and let the SanPlat “fall” into your hand. Don’t let it fall flat! It is still very weak. Clean the mould with a soft cloth and some oil and it is ready to be used again. Do not use sharp objects or stones to remove concrete rests. Just keep it clean. Put the SanPlat slab in the shade out of direct sunlight, cover with plastic and sand and keep the SanPlat wet for one week. It will be at full strength after four weeks. 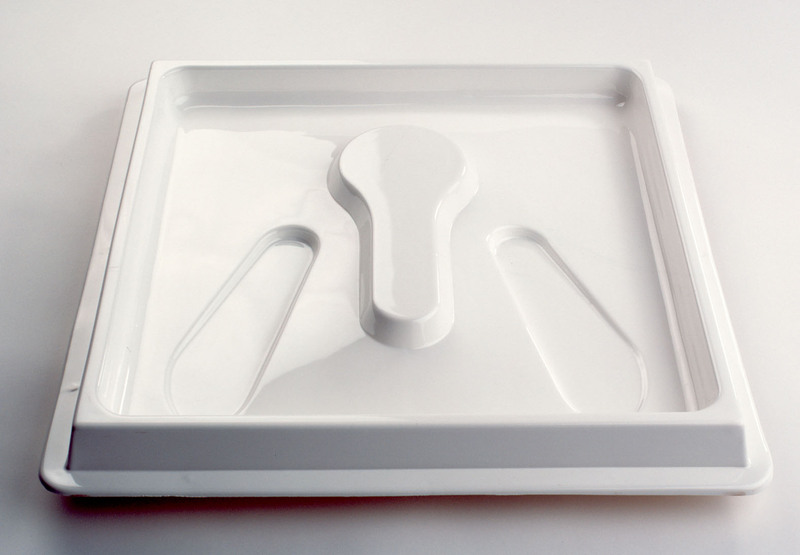 A lid of concrete can be made using the backside of the ‘All-In-One’ mould as a mould for the lid. A handle, for the lid, can be made of a piece of reinforcement bar well fixed in the concrete.